When you plan a trip to Walt Disney World Resort, do you always schedule some time to spend at Disney Springs (formerly Downtown Disney)? Visiting the brand new Disney Springs is a must do. This transformation and expansion is the biggest in Disney history, and the Imagineers made sure that Disney Springs possesses the same Disney storytelling that we expect in its parks and resort hotels. 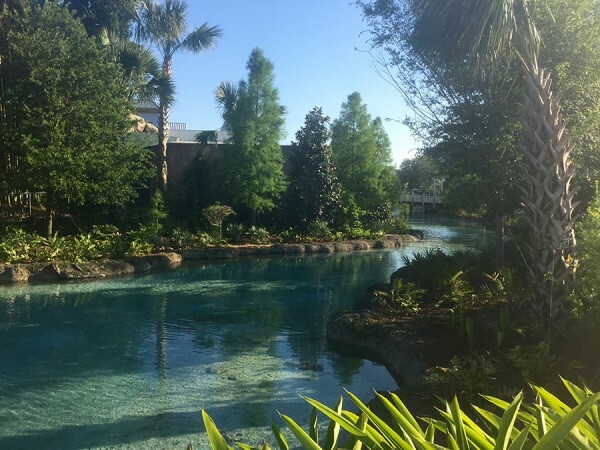 I had the chance to attend the Awaken Summer press event as a guest of Walt Disney World, and the first place we media attendees learned about was the awesome and ever-expanding Disney Springs district. I was blown away. This massive resort area is packed with fun for families. 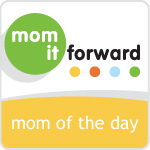 I believe that you should schedule a good half day (at least!) 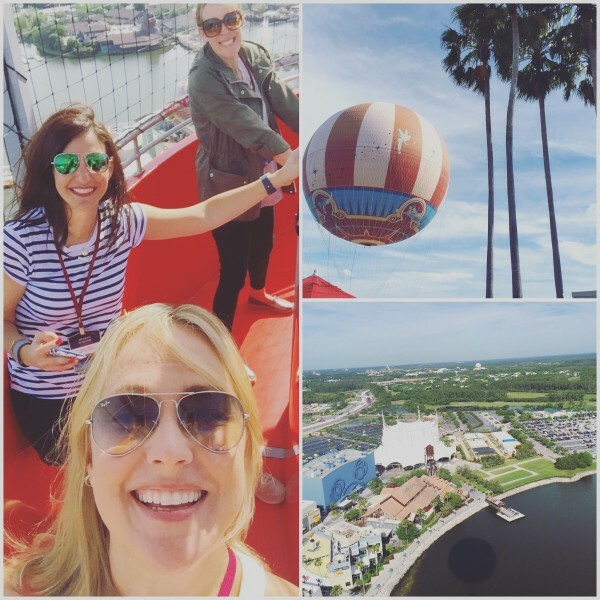 to experience Disney Springs with your crew. Just as my family and I always schedule for ourselves one day to simply chill at our resort pool and then dine at a special family-chosen WDW restaurant, from now on we will also plan to spend some time at Disney Springs. Just this weekend saw the opening of Disney Springs’ brand new Town Center area, a new extension that I had the chance to grab a sneak peek of in April. This new section of Disney Springs is made relaxing by the construction of a Florida-style spring that makes for a relaxing water way backdrop for the upscale shopping and dining. Town Center features Spanish revival-style architecture to reflect the Floridian heritage. 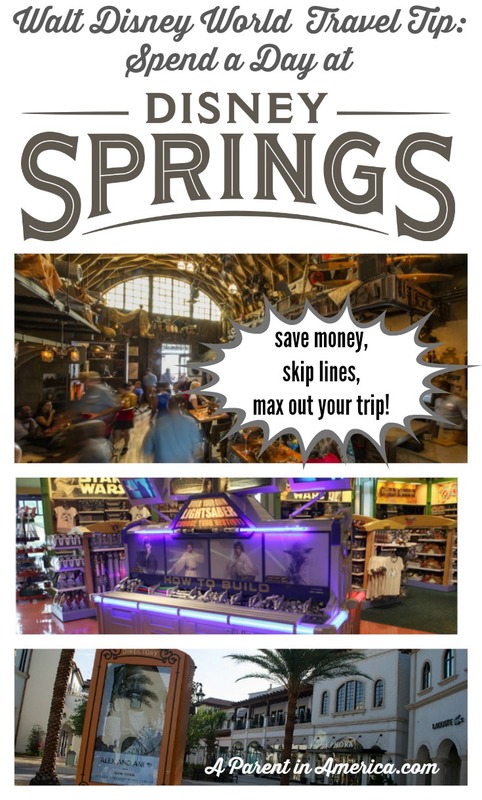 There is no way that I can cover all of the incredible offerings at Disney Springs — there are literally hundreds of things to do, see, eat and buy! But here are the picks that I personally would most like to share with my family on our next visit. 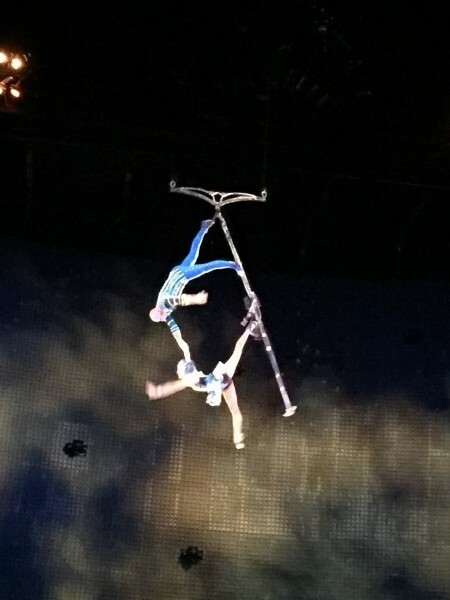 Walt Disney World’s own in-residence Cirque du Soleil has been updated with new acts for 2016. Experience aerial bamboo artists — bold tricks performed while dangling from a pole-like apparatus suspended from the ceiling! — as well as the world-famous B-Boy breakdancers. There are also acrobats, singers, trapeze artists, jugglers and clowns, all performed to the inspiring music of the live orchestra. 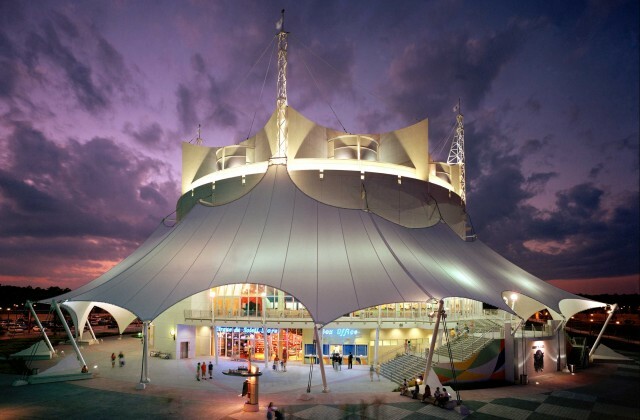 The performances take place most Tuesdays through Saturday evenings at 6 and 9 p.m. at the ivory circus tent-looking Le Théâtre, located at the West Side of Disney Springs. Your child can receive the royal treatment at the Disney Springs location of the BBB, which you might find easier to obtain a reservation at than the Magic Kingdom outpost during your vacation. Here young princesses age 3-12 (accompanied by an adult) can choose a hairstyle, make-up, nail color, accessories and a Disney princess costume. Boys can join in on the fun too, and be transformed into heroic knights. Reservations are highly recommended and can be made up to 180 days in advance by calling (407) WDW-STYLE or (407) 939-7895. Vera Sweeney, Rebecca Gruber and I happened by the Characters in Flight balloon on a weekday morning and were tempted to hop aboard. Our 10-minute ride gave us a breathtaking 360-degree view of the entire WDW Resort area for 10 miles in every direction. The balloon is really filled with helium and can hold up to 29 people. Every evening from 7 – 10 p.m at the Waterside Stage at Disney Springs’ Marketplace, a DJ spins the best Radio Disney tunes for a rocking family dance…totally free! At the Marketplace entrance to Disney Springs, next to Goofy’s Candy Company, there is an interactive fountain perfect for preschoolers and toddlers to play. Pack those swimsuits! You will also find the gorgeous Venetian-style carousel that is $2 a ride for preschoolers (parents are free). 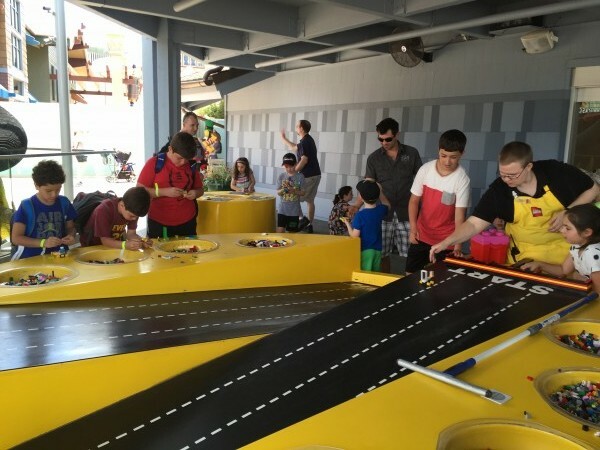 Play at the indoor and outdoor hands-on tables making vehicles, buildings and more. Kids will also adore taking pics with the life-sized LEGO-made models of their favorite Disney characters. No purchase necessary to play. Here are the places your kids will want to spend their birthday money and choose their souvenirs from their trip. I have four words for you about this place: Build Your Own Lightsaber. And here are another four words: Without the Big Wait (that you will find at the Disney Hollywood Studios Tatooine Traders store)! If your kid is excited to design and construct his or her very own lightsaber, I would opt to take him or her to this Disney Springs store. Here kids can take their time creating the galactic saber of their dreams. Another popular toy option that you will only find at Once Upon a Toy is the Build Your Own Mr. Potato Head station. Choose from loads of unique potato parts and then check out with your own customized Mr. or Mrs. Potato Head playset! Find the latest and greatest Star Wars tees, toys and collectibles from all of the Star Wars world. This is the largest Disney store on the planet. World of Disney has literally everything you can imagine in the Disney lexicon. Toys, princesses, jewelry, home goods, all with your very favorite characters and themes. There are 12 rooms full of merchandise. I could stay here all day. 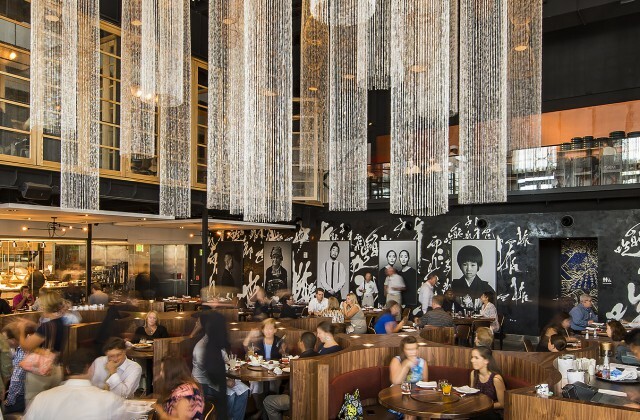 Chef Masaharu Morimoto (of Iron Chef fame) launched Morimoto Asia this fall at Disney Springs and the dining experience is incredible. The look of the restaurant is dazzling, with a continuous white bar ribboning through the restaurant and a drop-dead gorgeous sushi bar upstairs. If you like Pan-Asian cuisine from Japan, China and Korea, you will love this place. There is dim sum, sushi, sashimi, Korean bbq, all presented exquisitely. I had the chance to sample many of the menu items here and I was blown away by the level of delish and schmancy. However, the price point is not crazy high for this level of sophistication — expect to spend $20 for lunch or $40 for dinner per adult (not including drinks). Some Disney dining plans are accepted. 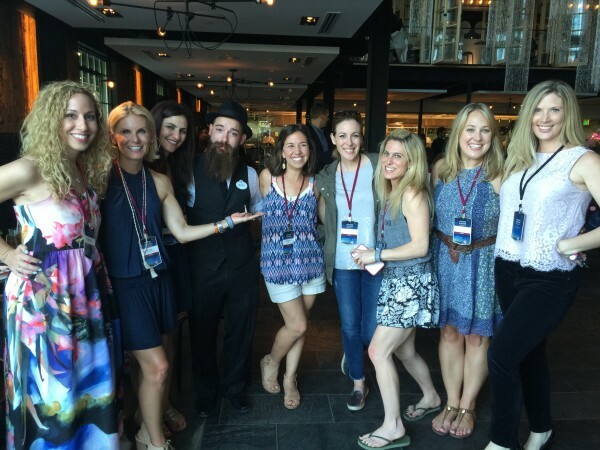 At Morimoto Asia with Jeanette Kaplun of Hispana Global, Kim-Marie Evans of Luxury Travel Mom, Rebecca Gruber of Pop Sugar Moms, mentalist and magician Meraux Dantes who wowed us all, Marisa Langford of Adventures of a Tampa Mama, Vera Sweeney of Lady and the Blog, Audrey McClelland of Mom Generations, me, Jamie Langdon of Walt Disney World Resort. The Boathouse is a two-fer: You can experience gourmet dining such as steaks, fresh seafood and a raw bar, and you can also book a ride in an Amphicar, an amphibious classic auto! You can also book through The Boathouse various dine or wine cruises that are perfect date night outings if you can leave the kids with the grandparents on one of your Disney vacation evenings. Foodie heaven on earth is yours at this newest fine restaurant at Disney Springs. Reservations are now being accepted to the Orlando location of this celebrated modern American steakhouse. There is also a fabulous lounge on-site with a DJ, outdoor and even rooftop seating. 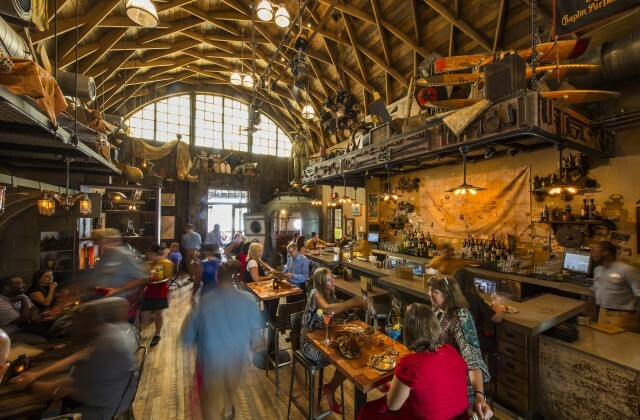 This aviation-themed lounge is an homage to Indiana Jones’s pilot and world-wide adventure. Craft cocktails, small plates and vintage decor make this place super special. I had a margarita here and it was delicious, and the ambiance was even better. The live music at this waterfront bar truly makes you feel like you are on vacation. The vibe is laid back and the adult bevvies options are extensive. 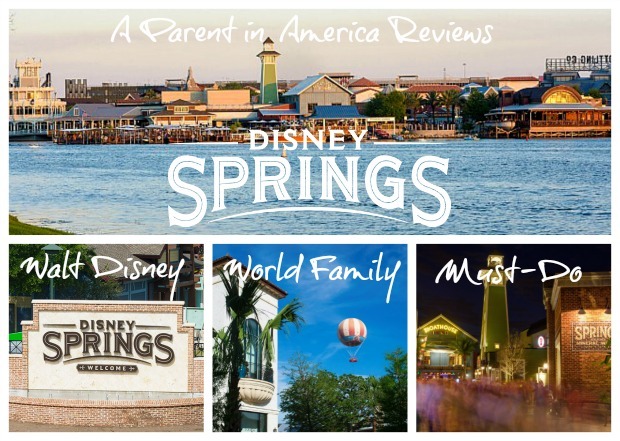 Make sure Disney Springs is on your Walt Disney World plan this summer and beyond! Photography by me or courtesy of the WDW press portal. All rights reserved. I was hosted by WDW for the Awaken Summer media preview. No additional compensation received.